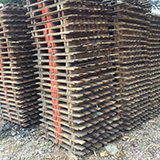 is a leading industrial supplies organisation which provides a wide range of goods and services to industrial and manufacturing markets throughout Malaysia and Singapore including pallets, sustainable pallet solutions, packaging, a large range of hand & power tools, work wear & safety equipment and transport services. Our main office is located in Kluang, Johor. We have been built upon the values of a family business with the professionalism of a market leader. 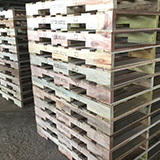 Wooden You is a family run business supplying an extensive range of wooden pallet & packaging related products to business throughout the Malaysia and Singapore. Our extensive distribution network allows us to deliver your order to any location in the Malaysia & Singapore on our standard delivery of 5 - 7 days.